How do we process compost? Compost, yard waste and lawns are all organic substances, and they all factor “organically” into the city’s waste reduction program. Examples of organics include the grass on your lawn, tree leaves, plant roots, stems, blooms and leaves from your garden flowers, fruit or vegetable plantings, hedge or shrub trimmings, and compost itself. Plant containers, lumber, garbage, pet waste and cat litter, cardboard and large branches should not be included in compost bins or dropped off at the compost site. These materials create litter, interfere with processing and may contaminate the compost. As the yard waste is received it is placed in windrows where it is blended to obtain the right ratio of carbon and nitrogen and is periodically mixed and water added to assist with the composting process. Temperatures over 70°C kill weed seeds and harmful bacteria. The finished product is screened, stockpiled and analysed. 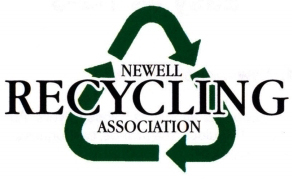 It is then made available to residents at no charge (small charge if Newell Recycling loads) Include the yard waste drop-off open hours. Branches over 2″ diameter and large loads must go to landfill. In municipal collection bins no garbage, plant pots, landscape materials or wood, pet waste, diapers, cardboard, metal, etc. CLEAN YARD WASTE ONLY! Operated by a local non-profit association formed in 1992, the centre oversees recycling for the City of Brooks and County of Newell which includes Duchess, Rosemary, Tilley, Patricia, Rolling Hills, Scandia, Gem and Lake Newell Resort. Newell Recycling - Copyright 2013, Brooks, Alberta, County of Newell.